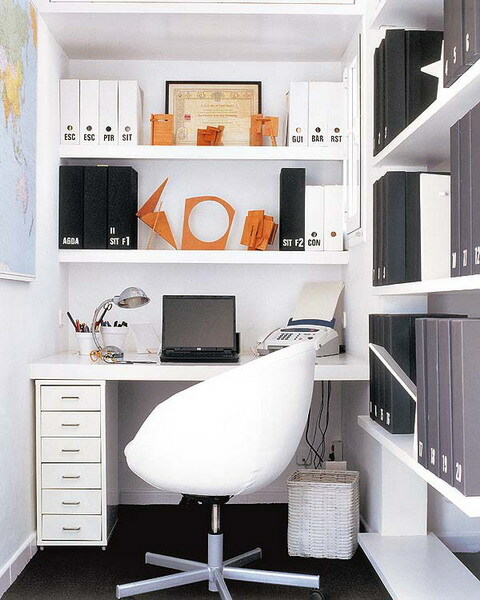 If you’re working from home then organizing a home office is probably the most important task you have. You need a lot of storage space there because you need to organize all these important things for work. Besides, when your home office is well organized it’s much easier to concentrate and be productive. 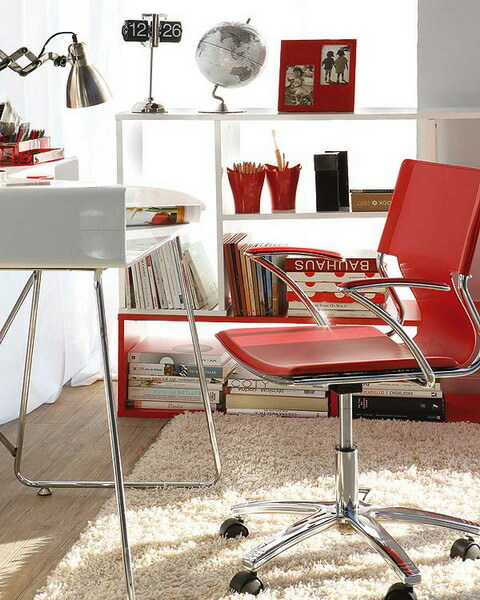 Even if you’re using your home office simply to surf the internet, organized space help you to relax better. In this post, we’ll show you a bunch of cool storage ideas to organize all these documents, files, books and other paper. Besides, we also will show how you can add a personal touch to your working space with different decor items and family photos. It doesn’t matter if your office is rustic, modern, vintage, minimalist. It doesn’t matter if it’s located in an attic or in a living room. It even doesn’t matter if it’s big or a small one. The storage solutions are always the same. It depends on your needs which kind will you chose. 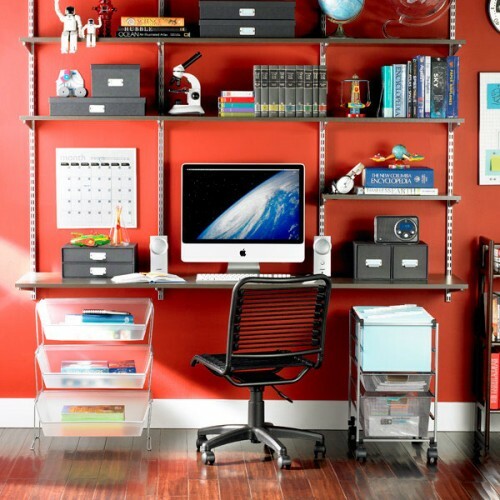 Below you’ll find a bunch of creative storage ideas showing how you can organize your home office. If there isn’t enough floor space, shelves are your only option. Of course, you can hang one or two cabinets on a wall, but that won’t look as good as it should. Although you need to think about several things before buying them. 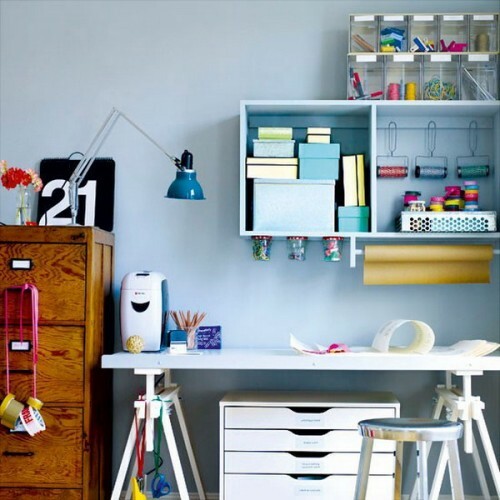 You need to calculate how many you need to accommodate your work stuff and elements of decor. You also need to calculate what weight they need to support. Who want heavy stuff to fall on their computer, right? Next, you need to choose a style and color of these shelves. They could be in the same style as the whole home office, or in contrast with it. For example, industrial-style shelves looks great in modern interiors. Below you’ll find a bunch of ideas showing how cool floating open shelves could be. Although be ready, they should always be well organized. You don’t want to look at the mess, right? Open shelves are perfect to put folders on them. 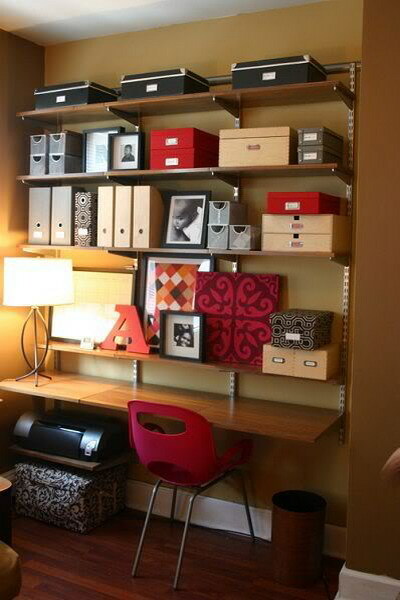 Great file storage solution for your home office. Floating shelf could be hanged quite close the the desk. Thanks to that it could act not only as a display for things but as a storage surface on hand. You can put greenery on floating shelves and your home office would look much more alive. Floating shelving could add a color splash to a bland environment. If you have an awkward niche it's a great space to put a desk and floating shelves in it. They would look like built-ins. If your floating shelves are hanged close to the ceiling you put things on them you use rarely. Even though floating shelves look great, you can use those with brackets too. 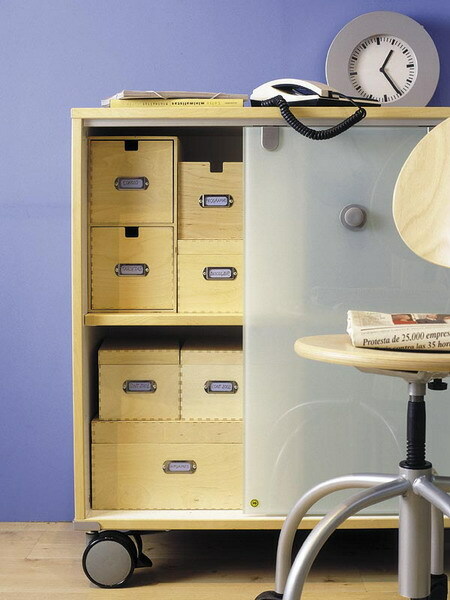 A tall cabinet with lots of little drawers is a great office supply storage. With floating shelves you could occupy all available space. You can also put fresh flowers on shelves. Lovely working environment indeed. Floating shelves are perfect to display photos of your loved ones. One more example of how simple shelves could occupy an awkward niche. This time even the desk itself is a simple shelf. Shelves could hold not only folders with files but books too. In case you don't want to display something you can use stylish baskets. They could fit a lot of stuff and become a part of your home office decor. Such units are popular in different stores all around the globe. 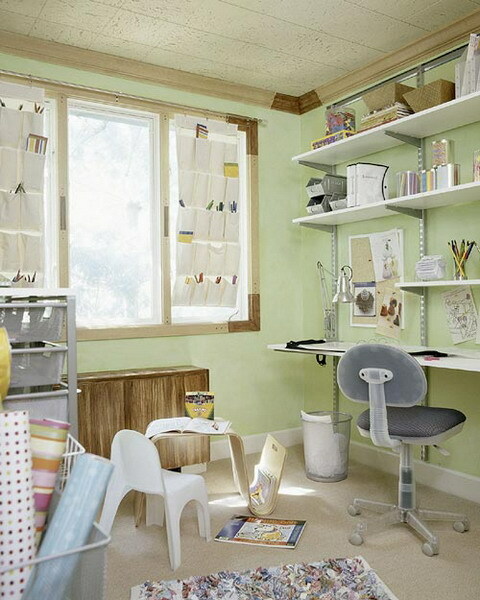 Although, some time ago they become popular for home offices and other rooms where you need open storage. The cool thing about these systems is that usually, you can change the location of shelves according to your needs. Sometimes, a tabletop is also a part of such unit so it’s perfect for tiny home offices. Black shelving look great on a colorful wall. These systems are quite versatile too. They could be modified to fit a certain niche. You can use them as by the desk as on the side of it. These shelving units could accomodate a lot of stuff. We all know how popular IKEA Kallax units are. The famous Swedish furniture manufacturer has a bunch of other similar solutions too. It isn’t the only one. That proves how practical and cool this solution is. They usually look better than simple shelves and, besides, who said you can’t combine them? Wall-mount storage cubbies allow to see a wall behind them and provide display space as inside them as on them. The cool thing about such hanging blocks is that you can mount something at their bottom. That could help organize things better. 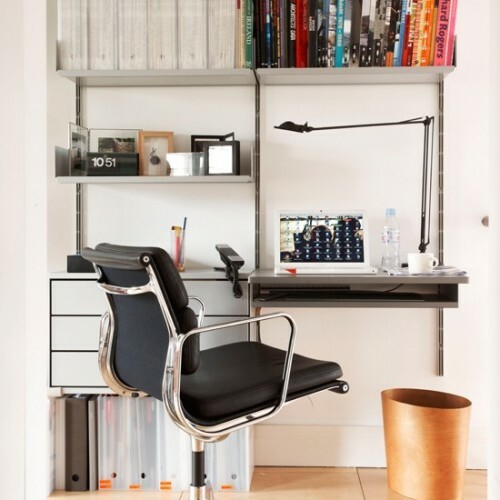 A cozy corner with a hanging shelving unit and a desk with a bunch of drawers usually are more than enough for a fully functional home office. Even though the desk here doesn't provide any storage, lots of cubbies solve the task. A sideboard and a hanging storage unit provide lots of storage space. The cool thing with such choice is that you can also use a cupboard's top surface to display things. There are plenty of cool furniture pieces for home offices nowadays. 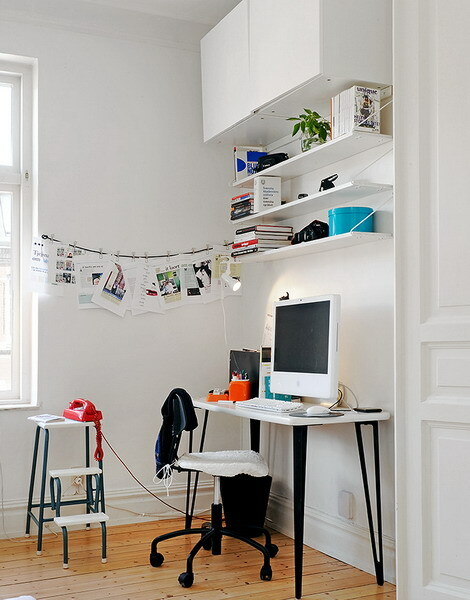 For example, desks combined with shelves. 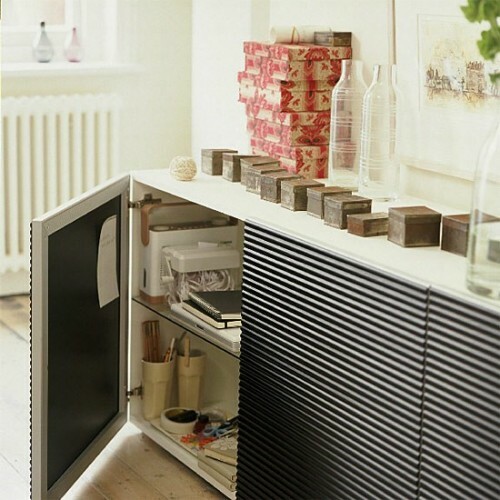 Usually, this solution is quite compact and you can add some additional cabinets below the desk. That's how functional home office systems looks like. Simple yet solve all possible needs. A beautifully compact combination of drawers, open shelves and a deck in one system. Compact work station for any room. 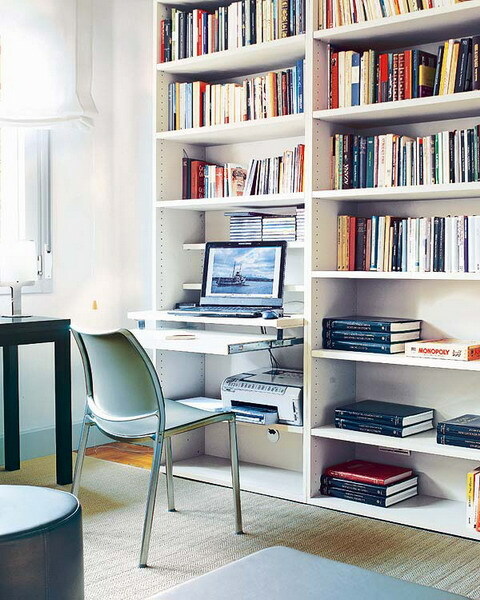 Sliding shelf is a perfect way to create a work station right in a bookcase. Compact built-in bedroom working area. 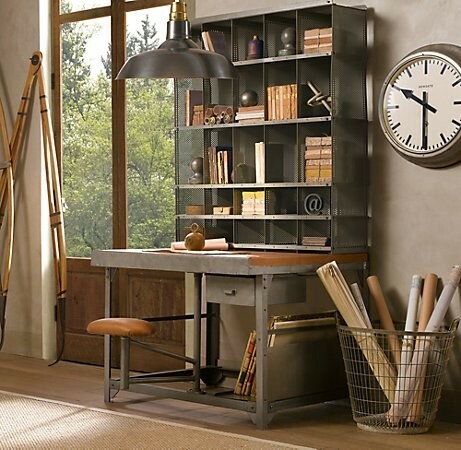 With right furniture industrial style home office is quite easy to design. This storage unit combined with a desk is looks truly amazing. Two built-ins and a deck in-between provides lots of storage and working space. 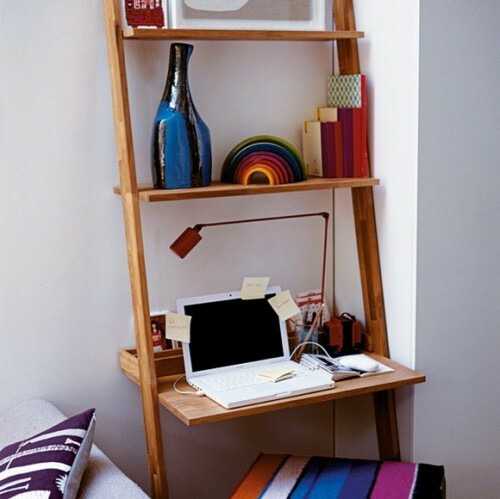 Once again IKEA Kallax is a great, popular example of a shelving system for a home office. Although there are plenty of storage solutions of this kinds. Some of them come with a back cover, thought others you can see a wall behind. You can place them close to a wall or use as a room divider. If you’re a DIY person you can add a cool personal touch to these systems. For example, you can paint the back cover panel or apply an interesting wallpaper to it. A fully functional home office could be in a bedroom. Two bookcases could solve your storage problems there. Transparent wood storage unit and a cool wallpaper behind is a nice decor idea. Vintage shelving unit combined with a vintage deck that has some storage compartments could hold lots of things. Colorful back cover could make a plain white bookcase like IKEA Billy a good looking solution. There are so many beautiful shelving units nowadays that your storage could become an interesting part of your decor. Built-ins might be a space saving solution if you need to occupy a tight corner. 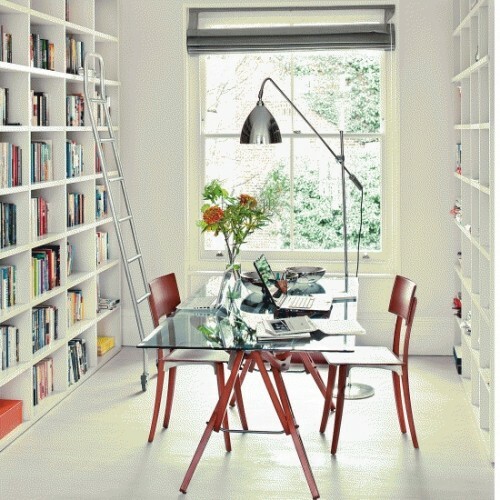 Bookcase could become a room divider if your home office is a part of your living room. 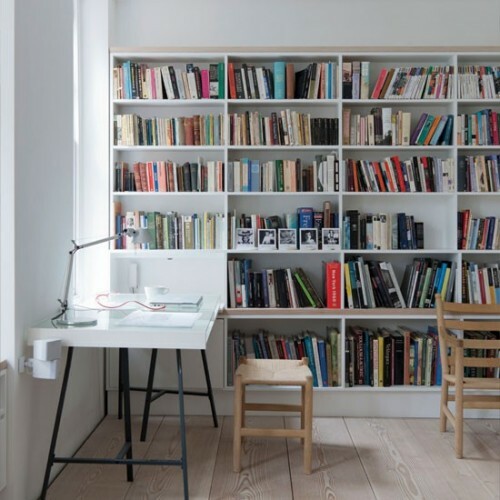 If you have lots of books you could combine your office with a home library. 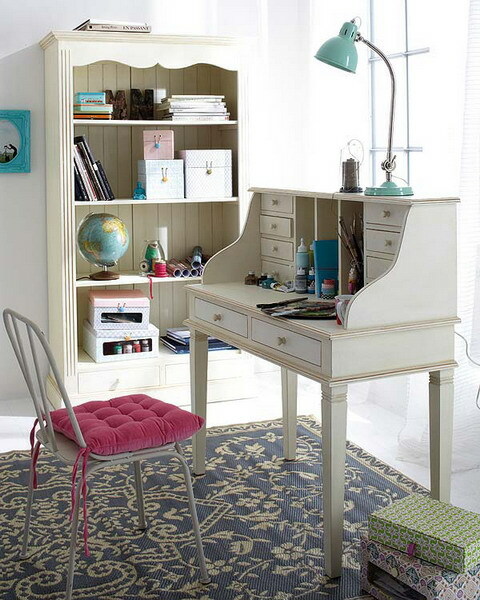 Vintage furniture is beautiful addition to a modern home office that could solve some storage needs. 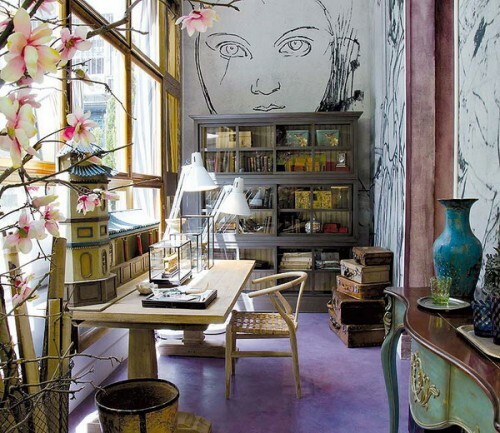 Eclectic home offices always catch attention. Drawers is a way to go if you don't want to show your work stuff. 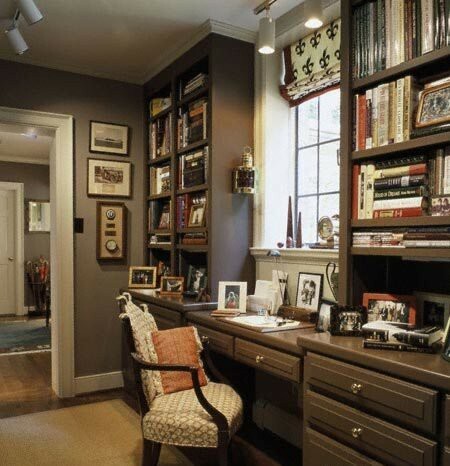 If you have a spacious dedicated home office you might want to make part of it a home library. 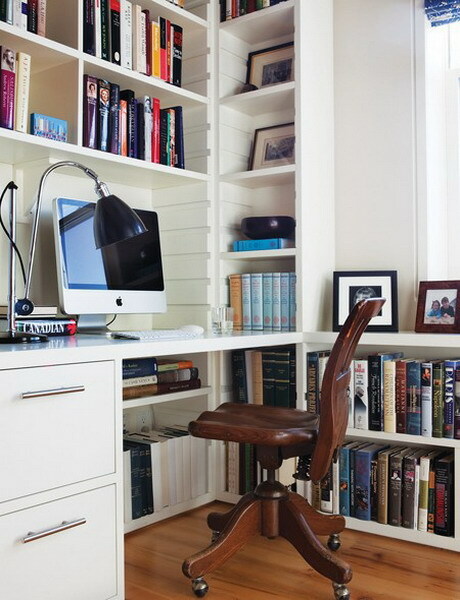 This is a perfect solution if your home office is a part of other room. Carts is the most practical choice because they are easy to move around. For example, Ikea Raskog would work as a charm. IKEA Kallax is perfect storage for any home office. It could provide an additional working space too. These low storage units are also capable to act as room dividers with extra storage on hand. They could feature doors to hide the stuff in them. 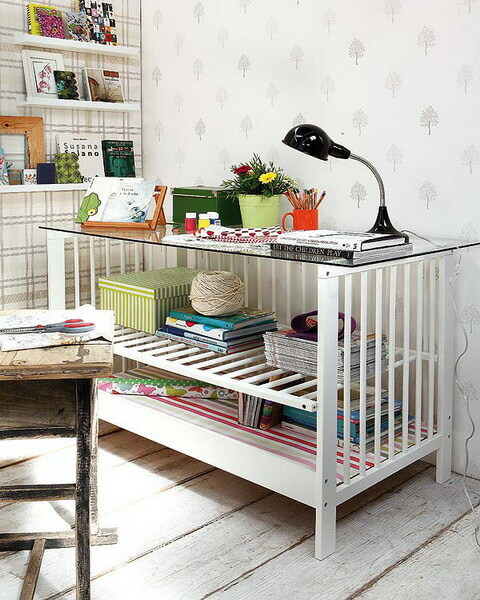 This creative desk have some storage and display space. 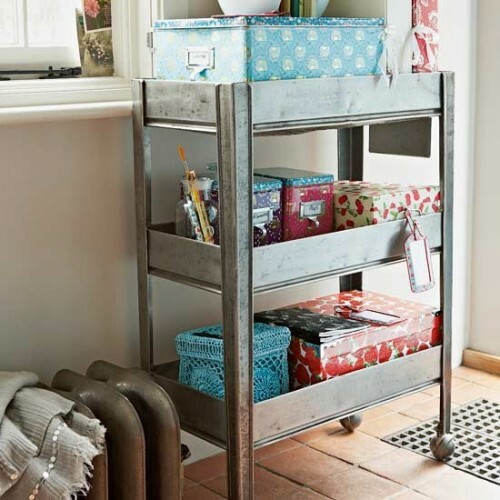 Carts are perfect for compact home offices because they could be easily moved. 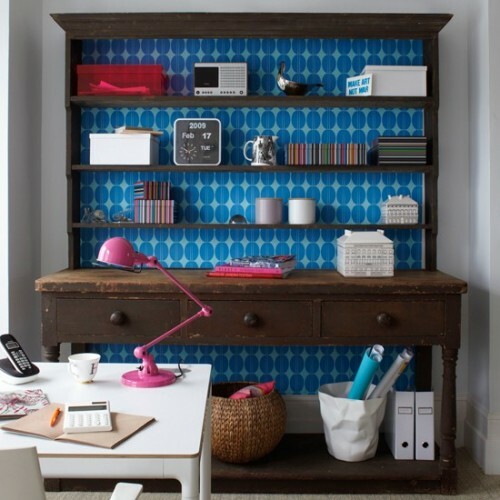 A sideboard is also a practical storage solution for a home office. Lots of space for your documents and other working stuff. A desk looks great between two Kallax low storage units.